Former Iowa Governor Tom Vilsack is not closing the door on the idea he might run for the U.S. Senate in 2020, but Vilsack today said the more immediate task for Iowa Democrats is to be “well-prepared” with the right questions for what he referred to as the “onslaught” of presidential candidates who’ll be visiting the state. Vilsack, a two term governor, served eight years as the nation’s agriculture secretary, during the entire Obama Administration. He spoke today in Des Moines at a forum focused on infrastructure and rural issues. 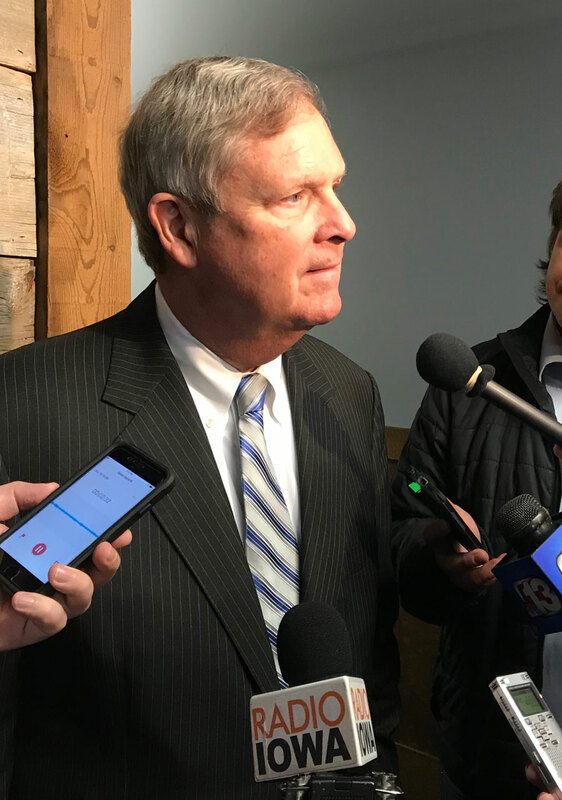 Vilsack predicted the successful candidates in 2020 will be those who are excited and hopeful about the future. Republican Joni Ernst used the “make ’em squeal” line in a campaign ad that helped propel her to victory in 2014. As for whether Vilsack might challenge Ernst’s bid for a second term in the U.S. Senate, the former governor is noncommittal. Vilsack’s name surfaced as a potential Iowa Democratic candidate for the senate in 2014, but Vilsack indicated at the time that he preferred to stay on as U.S. Ag Secretary. Vilsack lives in suburban Des Moines and is currently the CEO of the U.S. Dairy Export Council.